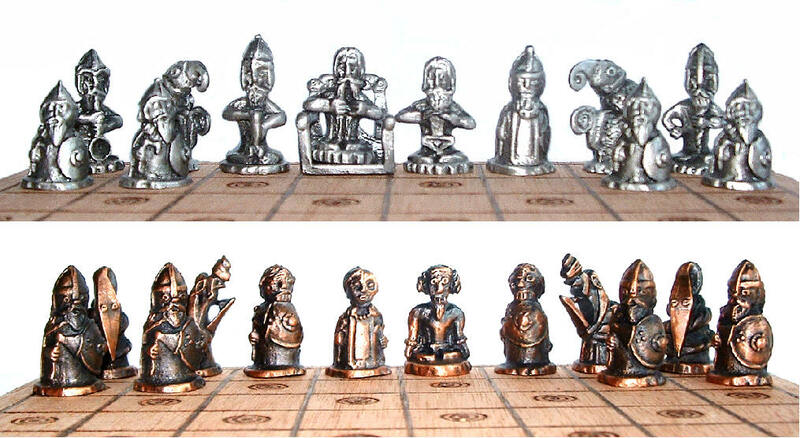 �145 All of the Chess Sets have one side in Antiqued Pewter, and the other in Bronze. 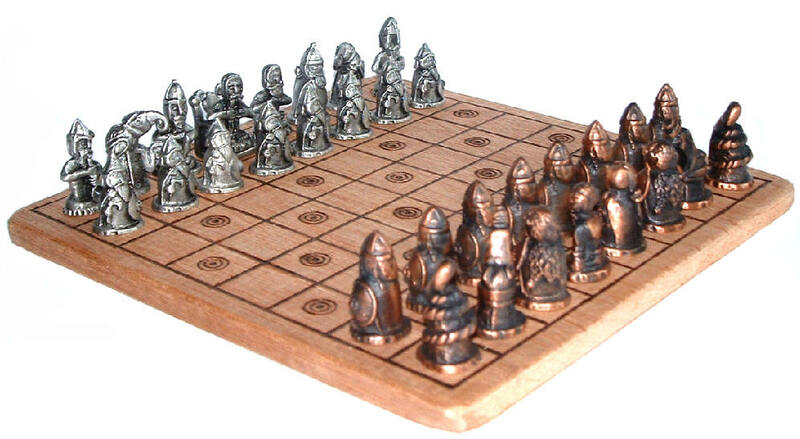 A set-up diagram for the standard chess pieces that they represent is included. Each set comes with two leather pouches and board as standard.